A newly discovered potential biomarker of multiple sclerosis (MS) may help to distinguish between people who will go on to have less severe disease and those in whom the disease will progress, researchers at Linköping University in Sweden report. The biomarker’s discovery came through an investigation into the immune system of MS patients, which behaves differently in these people than it does in those without the disease. An exercise program needs to fit the capabilities and limitations of the individual. It may need to be adjusted as changes occur in MS symptoms. A physical therapist experienced with MS can be helpful in designing, supervising and revising an exercise program. Any person with MS who is initiating a new exercise program should also consult with a physician before starting. Periods of exercise should be carefully timed to avoid the hotter periods of the day and prevent excessive fatigue. With some guidelines, an exercise program can help maintain good health. These results strongly suggest that CBT-I may serve as an effective clinical intervention for individuals with MS who report symptoms of insomnia. Given the considerable overlap of experiences of insomnia, depression, and fatigue in people with MS, CBT-I may also be helpful in identifying areas that may require additional clinical intervention for persistent symptoms of depression and fatigue. In November 2015, the International Conference on Cell-Based Therapy for Multiple Sclerosis was convened by the National MS Society and the European Committee for Treatment and Research in Multiple Sclerosis, bringing leading researchers and clinicians together to confer on clinical trials needed to provide answers about which types of cells, which route of delivery, and which types and stages of disease, would be the most promising approach for treating MS. A summary and consensus on next steps will be published by the conference organizers, with recommendations to help speed the development of new cell-based treatment solutions. Achieving wellness is a high priority for people living with multiple sclerosis (MS). They want to know what they can do today to feel their best, and whether lifestyle interventions can impact the course of the disease. People with MS are also among the most informed, engaged, and self-advocating patients with chronic illness—proactively seeking information through a variety of channels. 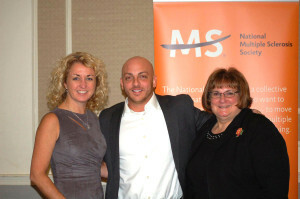 Thank you to the National Multiple Sclerosis Society for having John Marmarou, DPT, MSCS speak at this year’s annual meeting. John is pictured with Piper McNealy, Chairman Of The Board of Trustees of the Greater New England Chapter and Linda Guiod, Executive Vice President of Programs, Services, and Advocacy. The talk focused on the outcome data of work accomplished by Total Rehab & Fitness MS patients, which is starting to catch national attention. 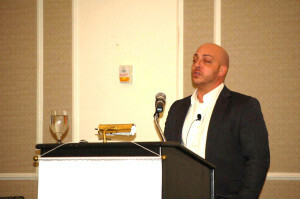 Thank you to everyone who attended the event and for all of your support! In a new study published in the March issue of Radiology, functional magnetic resonance imaging (fMRI) shows that cognitive rehabilitation changes brain function and improves cognitive performance in patients with relapsing-remitting multiple sclerosis (MS). Even the most dire of situations have light at the end of the tunnel with treatment, determination, and hope. We all fall down. But while a tumble for a toddler is a learning experience, and a stumble for an adult is usually just embarrassing, for older people it can be a serious, even fatal, incident. 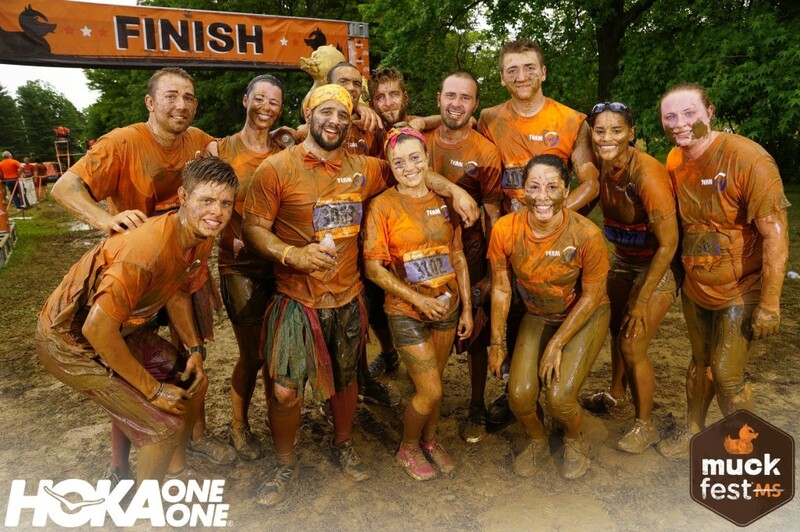 Total Rehab and Fitness makes a major (muddy) splash at Muckfest MS in Philadelphia! The staff, along with some friends, of Total Rehab and Fitness participated in this year’s Muckfest MS, raising $3,732 for the cause! Thank you to all those who contributed and we hope you enjoy these pictures of the event, we had a blast!